Dratzo! The Victory of the Light grows. Everywhere on your world, the emergence of the new financial system and never-ending waves of prosperity continues. Together with these marvelous changes is the prospect of a peace that almost didn't happen. In its closing moments, the dark tried, but was unable to instigate a global war. Fortunately, our liaisons and their earthly counterparts prevented this from happening. This surface world has also moved swiftly forward in the direction of first contact. You are entering an era when the requirement for money is to quickly disappear. This process is to be aided by the use of technologies, both yours and ours, that are to introduce the universal processor. This wondrous device is to render obsolete the need for farming, manufacturing and the use of Gaia's natural resources. Hence, your global societies are to be freed of the need to devote so much of their populations to these arduous and dangerous tasks. Gaia can expect to see much of her land returned to their original environments. This process will allow for the expansion of grasslands, swampy areas and forests. Therefore, more and more of your environments are to be reworked to add a number of habitats. These changes are to improve the quality of your air, allowing the oceans to again sustain a teeming fish population. The water in lakes and rivers is to become cleaner as well. You are to learn to use your personal processors to prepare meals and replace furniture as you wish. This vast array of changes allows your Ascended Masters to teach you about your past and prepare you for our arrival. Our mentors intend to take this new knowledge to expand the way you look at yourselves, both individually and collectively. Your global societies need to fully evaluate the way they operate. Your great diversity is an opportunity to readjust how humanity can best get along with itself. You are then to be in transition to a world that can comprehend what these changes can accomplish. This will enable you to see Gaia as a split realm, and allow you to introduce the Agarthans to this outer realm. This alone is a giant step in the right direction. It means that the nonsense begun by the Atlanteans and sustained by the Anunnaki can at last be put to rest. All of this is part of a process that started to happen to humanity in the mid-1960s. Suddenly, the young began to understand what the decrees of Heaven were all about. 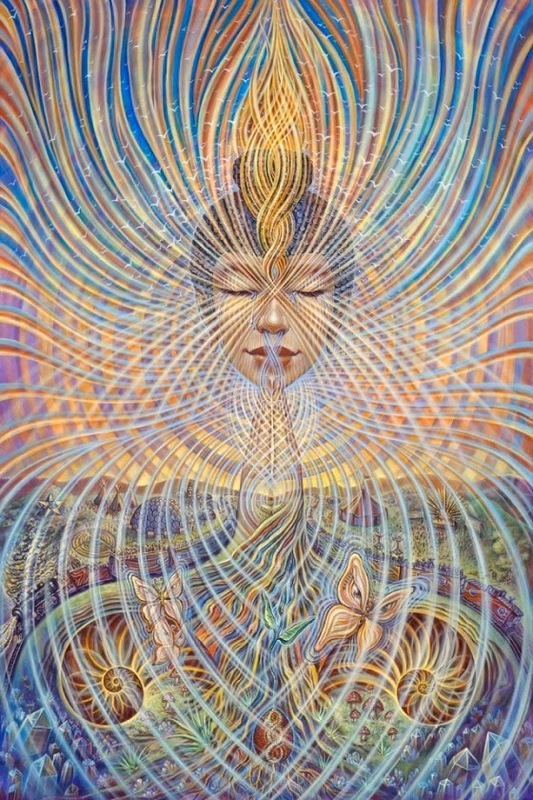 A sense of a new conscious birth became evident to many of them. In America, this wake-up call became known as the "Summer of Love." 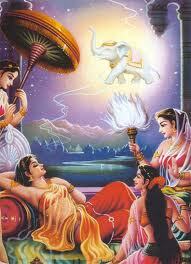 This awakening was short-circuited by the sudden introduction of psychedelic drugs by many gurus of this movement. These university-oriented gurus successfully misdirected the consciousness movement and gave rise to the horrific era of drug addiction. Their actions quickly waylaid the consciousness process. It was only the dark actions of the Ancharans (the near nova-ing of your Sun, for example) that allowed us to intervene and help this growth in consciousness to slowly resume. It was our intervention that helped to deflect the next part of the dark's master scheme, the false ET invasions. This was to be the means by which a prolonged series of massive military actions would complete the permanent enslavement of surface humanity. The sudden onslaught of these false flag actions led Heaven to ask us to begin a mass intervention against the dark's intentions. 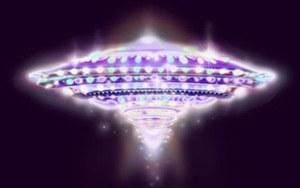 In 1990, we sent a large S&E fleet to oversee the consciousness shifts just begun by Heaven. As you may recall the next two and a half decades included events that we have described in numerous past reports. A short learning curve then ensued. We eventually organized part of a Light team that, through great dedication to its divine service, was able to end the dark's grand plan for your permanent enslavement. This process led to the dark's last-ditch schemes, the American election of 2016 and the nearly successful 2016 attempt to hatch a nuclear war scare. This was of course curtailed by declarations of the NESARA Republic. This new entity can temper the elections and cool down any potential nuclear war. You stand now on the edge of disclosure, at a time of great peace and the dawn of an immense prosperity! The old reality is waning and a new one is being set firmly in place! Hallelujah! Hallelujah! Namaste! 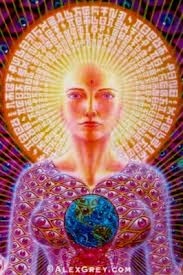 We are your Ascended Masters! Your world's reality is transforming. Our initial task here is to bless all who are making possible the birth of an age of freedom, peace and prosperity. Those who for so long controlled this surface realm are now being isolated from you. The long dark night of your Souls is almost over! Ahead lies a time for achieving your dreams, and for a long list of banned technologies to see the bright Light of day. All this is being carried out in a state of divine grace and with a true measure of divine mercy. We sincerely thank all who are implementing their sacred visions to aid in making this possible. Be blessed, and know in your heart of hearts that a magnificent reality of joy and celebration is about to be yours! You are shortly to meet us and learn much about your origins, and of a long-forgotten history. At this time, take a moment to thank Heaven and her grand instruments of this world and others. You are now approaching a time of freedom. Let this endless prosperity now begin! We are preparing to meet those who We, your Ascended Masters, have known for millennia. These are your former Lemurian cousins from the Inner Earth land of Agartha. With us, they have offered humanity a refuge from the dark ones and provided a place where holy grace and mercy was able to be applied. We are thankful as well that all of us are to be given a home alive with ancient rituals that have provided our hearts true joy and Love. Here, we prepared for our missions to aid you, and here we found those who, when necessary, came along to assist us. We bless this coming new era for humanity and know that soon all are to be united in the return of this outer realm to full consciousness. Then, as galactic humans, you are to see the union of Inner and Outer Earth. At that time, Heaven is to give all of us our new, divine marching orders. Contemplate in joy what you accomplished in Heaven's good name. You stood firm in your visions and gave all the energy required to positively alter this realm. Your good works are being rewarded. You are being freed of your age's long debt slavery and can bask in the eternal Light of freedom. You are to have the wherewithal to be healthy and well again. You are to also have the ability to start your rejuvenation process. Moreover, you shall have the means to prosper, and this extraordinary resource to achieve your dreams. For all of this, we bless you and wish only the best for you. Long ago, we were created by Heaven to lessen the bleak and sinister blows dealt you daily by the dark's minions. Now this mission is transitioning to a new one. We are to supervise your process of returning again to being Galactic Humans. This time is surely to be brimming with joy and a way for us to easily communicate with each one of you! Hosanna! Hosanna! Hosanna!